From executive homes to family homes to investment properties, we auction single family homes in a wide array of value ranges and locations. Below are residential auctions coming up in the next 30-45 days. 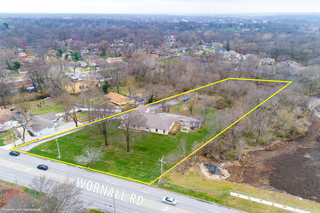 Spacious Home (needs work) on Nice Corner Lot in Great Northland Neighborhood for Sale at Auction! Excellent 4BR/2.5BA plan with large rooms. Living room w/picture window, family room w/fireplace, master w/sitting room. Main floor laundry. Hardwoods throughout. Oversized garage w/shop. Needs work but has some newer windows and furnace. No Reserve Auction | Solid 3 Bedroom R-Ranch on Quiet Cul-de-Sac | Gladstone, MO | Sells Regardless of Price! Well Loved 3-Bedroom, 2-Bath Home with 2- Car Garage, Hardwood Floors, Neutral Colors, Updated Baths, Vinyl Triple-pane Windows, Vinyl Siding, Newer Driveway, 50 gal. Hwh, Daylight Walk-out Basement on Quiet Cul-de-sac. Needs some TLC! NICE MEADOWBROOK HOME SELLING REGARDLESS OF PRICE. DON'T MISS THIS OPPORTUNITY TO BID YOUR PRICE. SELLS AS-IS. BIDDING ENDS: MAY 10TH. No Reserve Auction | Fixer Upper 4 Bedroom Home on Quiet Cul-de-Sac | Gladstone, MO | Sells Regardless of Price! 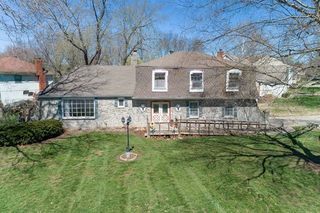 Fixer Upper 4-Bedroom, 2 Bath, Split Level with Living Room, Kitchen with Dining Area, Hardwood Floors, Partial Finished Basement, 2-Car Garage, Updated Trane HVAC, Fenced Backyard, Metal Garden Shed, On Quiet Cul-de-Sac. Bid Your Price on this Northaven 4-Bedroom Home. Photo Gallery and More Details Coming Soon! Contact us for more information on our selling services, including Real Estate, Commercial Property, Lake Property, Luxury Real Estate, Land, and Senior Downsizing Auction Services.